This was the fifth edition of the Romanian Film Festival in London, taking place at the Curzon Mayfair cinema. 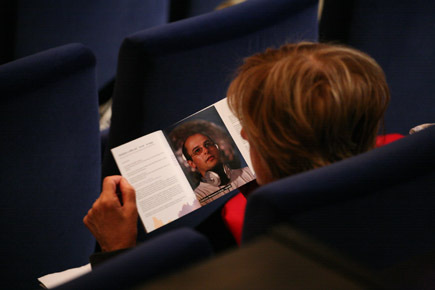 This edition, the Festival brought together film-makers, documentary subjects and fictional characters who are caught between home and elsewhere. An exciting line-up which gave the audience a unique view on homelands and border-crossings. Please follow the Link to see a complete photo gallery of the 2008 Romanian Film Festival in London.